Happy summer! 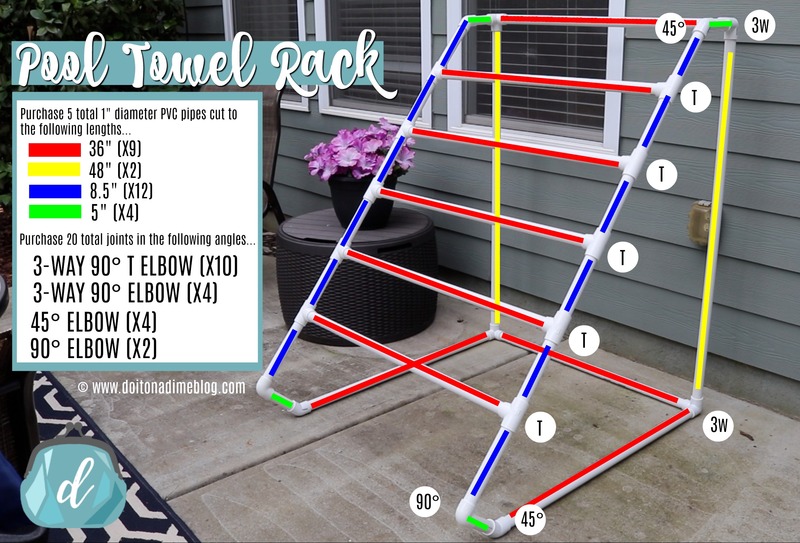 In this video, I’ll show you how to make a DIY Pool or Hot Tub Drying Towel Rack. This also works great for pool toys and floaties. Similar products sell online anywhere from $200-300. It’s crazy! And you can make one for right around $35. We have been using this for weeks and absolutely LOVE it! It’s sturdy, and once you watch this simple tutorial, you’ll see how easy it is to put together! Win $100 for Holiday Shopping! It’s that time of year! We’re trimming the tree and shopping for loved ones. 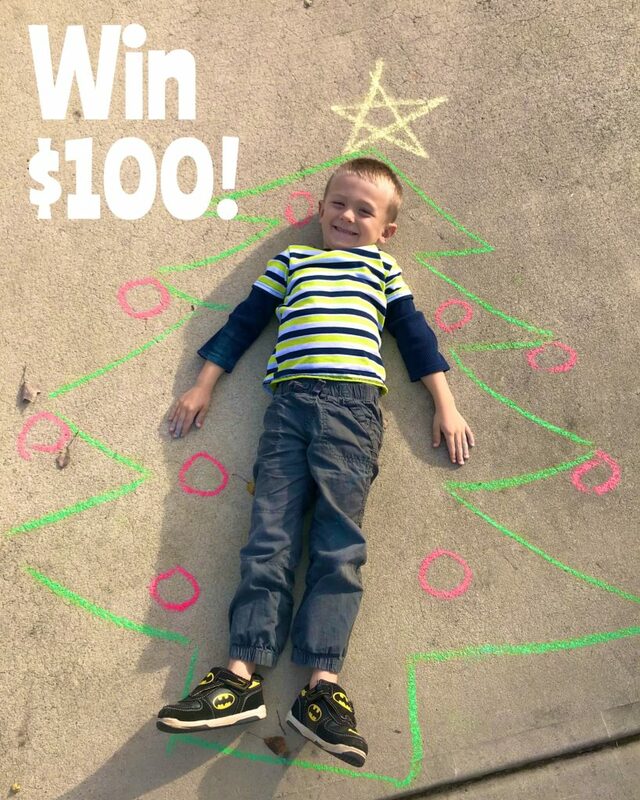 I’m giving $100 away to one of YOU! It’s easy to enter. Fill out the rafflecopter below. You only need to be subscribed to Do It On A Dime on YouTube and join Ebates to get cash back on Holiday purchases (it’s free!). My favorite cash back deals today are below. You’ll get a quarterly check from Ebates after purchase. Make sure Ebates is installed in your phone or browser. And heck yes you can stack with discount codes and coupons! Over 2,000 stores are a part of the program. Happy shopping and good luck! Giveaway sponsored by Ebates. Links contain affiliates. I LOVE Ebates and have used it for years! Hey, guys! In this video I show you how to make a giant, 18 inch lazy susan for under $20 in farmhouse style. These easily retail for $70+. Using only a few simple tricks (no fancy tools or cricket machines), you can create elegant farmhouse style wood pallet signs. 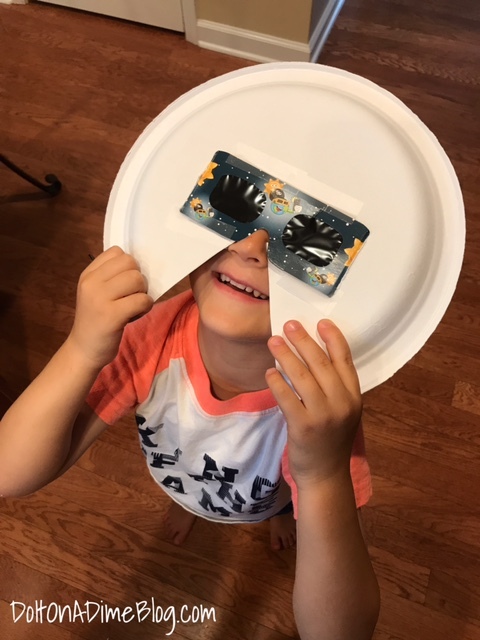 2017 Solar Eclipse for Kids! Living in North Carolina, everyone is in Great American Eclipse Hype! What an amazing learning opportunity for kids! The path of totality (a total solar eclipse) will cross 14 U.S. states: Oregon, Idaho, Wyoming, Montana, Nebraska, Iowa, Kansas, Missouri, Illinois, Kentucky, Tennessee, Georgia, North Carolina and South Carolina. According to NASA, that means 300 million people in the country could directly view the total solar eclipse on Aug. 21. At least a partial solar eclipse will be visible world-wide. We ordered some cheapy solar eclipse glasses online to safely view the eclipse since our city will have 98% totality. Our library was actually giving them away for free but they ran out very quickly. This is by far the BEST way to view the eclipse! 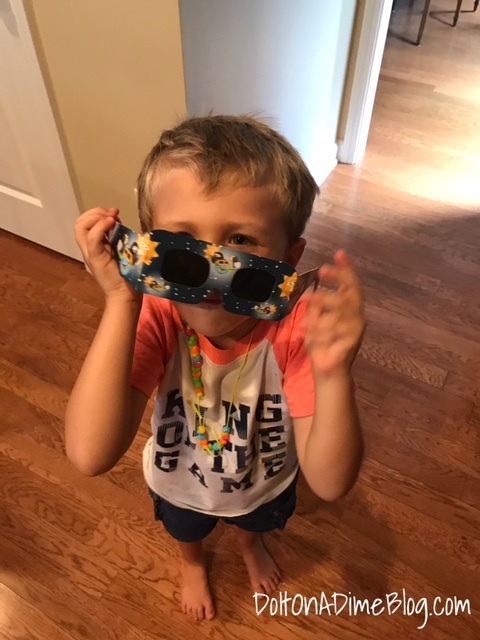 Carson is SO excited for the big day, but the glasses don’t stay on his face well, and viewing the eclipse is very dangerous without glasses, especially for preschoolers. 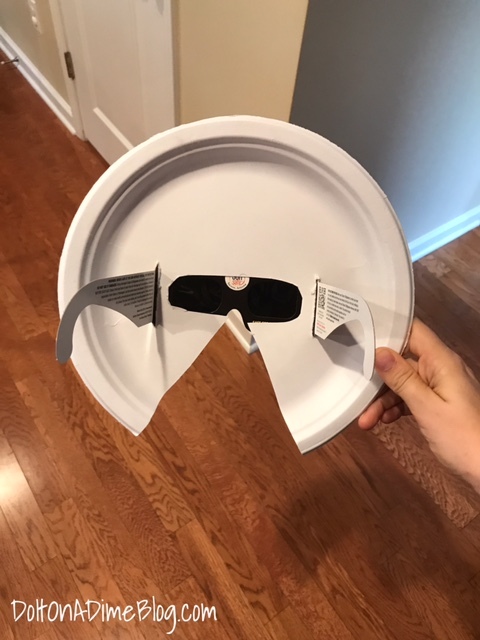 Rather than chance them slipping off his face, I made them easier to hold by cutting slits for the glasses, a hole for the lenses, and a triangle for his nose and mouth into a paper plate. I don’t have to worry about a slip of the hand or glasses resulting in damaging his eyes. This is a great trick to try with kids, I saw in a mommy Facebook group that a teacher at Mount Carmel School in Newport News, VA is using with her students. Awesome. I hope this will help those of you watching the eclipse with your littles. Looking for some fun activities to do with your kids? You can download free printables here! You also cut a small hole in paper to watch the eclipse happen on the ground. Easy and free. You can see more info here! Image Credit: NASA Jet Propulsion Laboratory. ORGANIZED WITH BABY | How to baby proof your home fast and on a budget! Hey guys! In this video I’ll show you how to baby proof your home on a BUDGET. Tips and hacks that are frugal, tried and true! No more pinched fingers in doors, a $6 baby rail cover, a budget friendly baby gate and more! In this episode of Cooking With Carson we show you how to make Meringue Cookies that look like beautiful galaxies and unicorn poop! 😆 Kids get SO excited about this sweet recipe and it couldn’t be easier! It’s just three ingredients! 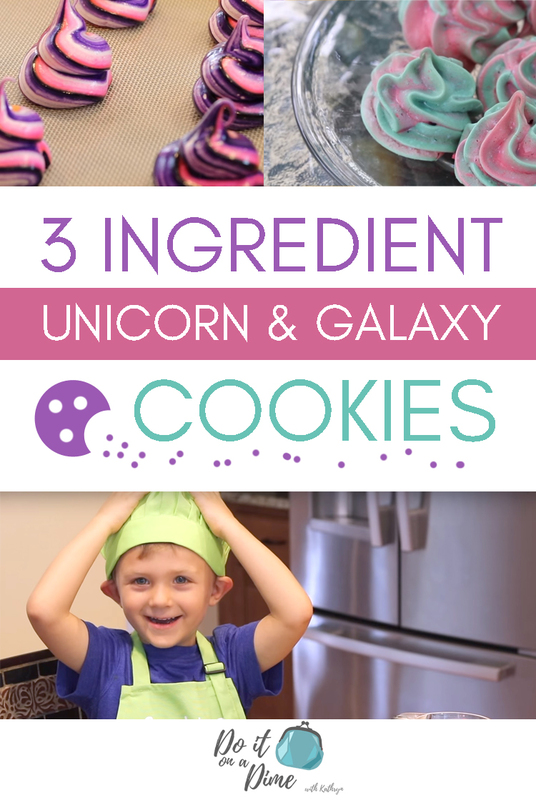 Galaxy DIYs and cute Pinterest unicorns have been catching our eyes lately, and Carson has been begging to make this one. My friend Windi made Carson’s Apron for his birthday. So cute, right? You can see her store here! Use a perfectly clean bowl (I wiped mine down with vinegar before mixing). If any oil or grease is in the bowl the eggs and sugar won’t set. Use room temperature eggs. This is very important. Let sit out for at least an hour before using. Add sugar when eggs make stiff peaks. It takes longer than you think. About 5 solid minutes of mixing. Add sugar SLOWLY 1 Tablespoon at a time. Do not over mix. If mixture starts to separate or become chunky, you’ve mixed too much. FTC: This is not a sponsored post. All opinions are genuinely my own. Links contain affiliates. How to COVER wire shelves for just $2! Want to fix or cover wire shelves in your pantry or linen closet? Look no further! Nothing stands up on them anyway. 😆 This hack is a perfect solution that can be completed in other 30 minutes and under $10 (just $2 a shelf)! Say hello to a custom look on a shoestring budget. This hack is perfect for renters and apartment dwellers because it’s completely removable! Pinspiration here but I made a few changes! 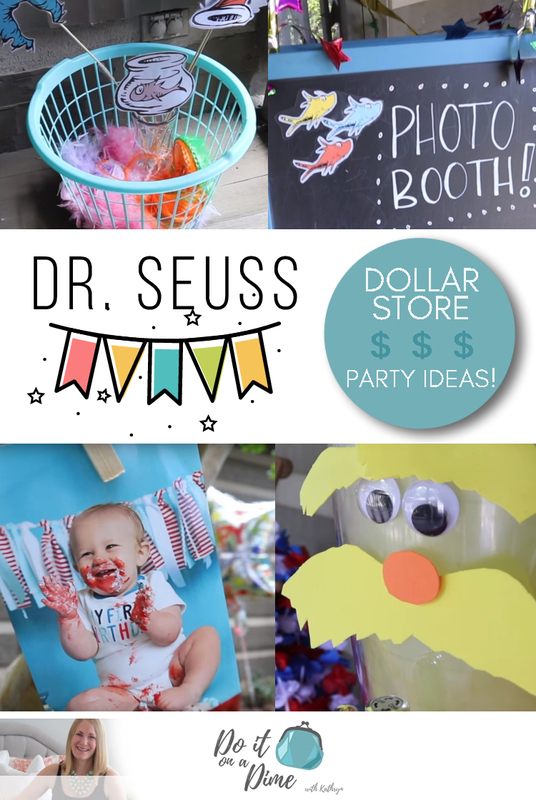 Dollar Tree Dr. Seuss Birthday Ideas! Dollar Tree Birthday Party Ideas! If you saw my haul and shop with me video, you know I have been planning a joint birthday for the boys with Dollar Tree items. Carson’s 4th and Owen’s 1st Birthday! The theme was Dr. Seuss/Cat in the Hat/One Fish Two Fish Turning Four Fish (Carson thought that one up all on his own). Here’s how I created some simple DIYs to make the party special and did it all on a budget! I also share some simple ways we stayed organized.